Cloud-based customer engagement platform Freshdesk Inc has rebranded itself as Freshworks Inc, the company said in a statement. The rebranding exercise is part of the San Bruno- and Chennai-headquartered company’s efforts to position itself as a multi-product brand and to provide more product clarity. Until now, Freshdesk was not only the name of the company but also its eponymous flagship product offering. “We felt that the company brand (Freshdesk) was not doing justice to the other products. It was limiting our ability to tell our multi-product story to the world,” said Girish Mathrubootham, chief executive of Freshworks. According to Mathrubootham, the company had been toying with the idea since April last year. It decided to go ahead with rebranding itself around three months ago after Freshsales, its fourth product offering, was launched last year and crossed the 1,000-plus customer mark. “While it might be considered a risky move, particularly when the brand is established, we also did not want to give away the multi-product strategy until we really had enough products,” he added. The company’s flagship product Freshdesk was launched in 2010 and allows organisations to support customers through multiple channels like email, phone, websites, mobile apps, forums and social media. The company has since gone on to launch Freshservice, a cloud-based service desk and IT service management solution to address IT support needs; Freshsales, a full-featured customer resource management solution for sales teams handling high-velocity leads; and Freshcaller, a fully functional call centre on the cloud. According to the company’s website, a fifth offering called Glowboard, a platform for social reviews of products, is also in at the trial stage. Freshwork’s products are currently used by more than 100,000 customers across 145 countries. According to Mathrubootham, more new product announcements are in the offing by the end of this year. “We are completely focused on business software. Every product we introduce will invariably help teams inside companies to engage and collaborate better, thus translating into a better consumer engagement experience,” he said. Freshworks has also made seven acquisitions till date, which has given it a quicker runway to launch other products. They include SaaS-based data integration platform Pipemonk, social chat platform Chatimity Software Pvt. Ltd, Faridabad-based Memeticlabs Technologies Pvt. Ltd, Pune-based visual collaboration platform Framebench, in-app customer support platform Konotor, social recommendations platform Frilp, and video chat software 1Click.io. 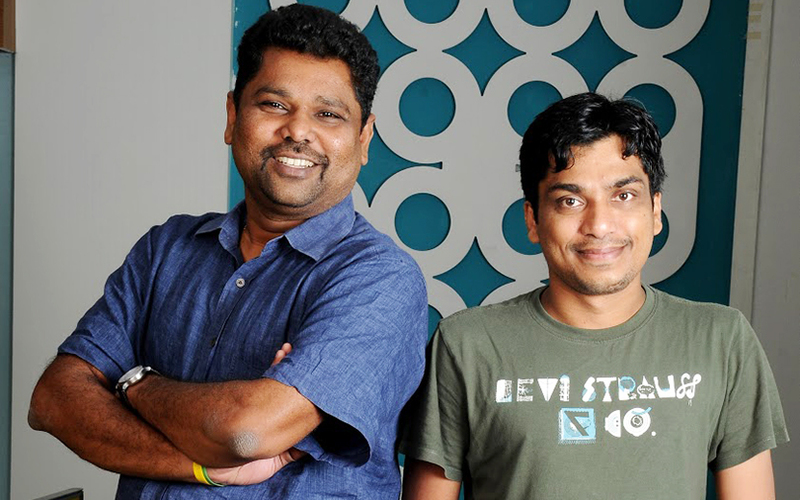 Founded in 2011 by former Zoho employees Mathrubootham and Shan Krishnasamy, Freshworks is backed by the likes of Capital G (formerly Google Capital), Tiger Global, Sequoia Capital and Accel Partners, and has raised close to $150 million in external funding till date, according to data available with VCCEdge, the data research platform of News Corp VCCircle. The company has global offices in India, the UK, Australia, and Germany, and counts Honda, Bridgestone, Hugo Boss, University of Pennsylvania, Toshiba and Cisco among its customers. Recently, Freshdesk also launched its own app marketplace for developers and clients. It competes with the likes of homegrown Zoho and US-based global player Salesforce.